There’s serious fun to be had this Easter at the award-winning Westport House and Hotel Westport. Kicking-off the season with amazing NEW ADVENTURE & ATTRACTIONS to the Pirate Adventure Park– opening on April 13th including The Jump Around, (hop on this ride for a delightful time and you may even hear a ‘Ribbit’), Mini Ferris Wheel, (get comfy in your mini Ferris Wheel pod while you enjoy the views), Vortex Tunnel (an awe-inspiring virtual tunnel experience you won’t forget), Pan for Gem Stones, (when Pirate Queen Gracey was last on the Estate legend has it she lost her treasure chest, leaving behind rare gems and crystals), Hook a Duck, (try and hook a duck to be in with a chance of winning some great prizes), Mini Westport Tiny Town, (located in the indoor Coach House, allowing kids to use their imagination to be whoever they want to be from a shopkeeper, hairdresser to an hotelier, Disc Golf (similar to traditional golf, but rather than using clubs and balls, using a flying disc commonly known as a Frisbee™, the challenge is to complete each hole on the course in the fewest number of strokes) and a new 3.5km parkway walking trail, there’s no better place to be this Easter. For those visiting during Easter there’s a programme of events to enjoy including the annual Easter Sunday Egg Hunt with lovable Pinkie Rabbit. Mind the cents and the euros will take care of themselves. For 2019, stay overnight in Hotel Westport or in the Caravan and Camping Park and you’ll get 25% off a day ticket to Westport House or The Pirate Adventure Park and you get FREE entry the following day. It is definitely THE place to stay for family fun in Mayo. Enjoy exceptional value at 4* Hotel Westport including a choice of either a 2 or 3 night stay for 2 adults & 2 children (under 12 yrs). The ultimate in family-friendly accommodation, make the most of the Kids Breakfast Train, fun and activities at the hotels’ renowned Panda Club with its kids’ dinner each day, one evening meal for the grown-ups at The Islands Restaurant, complimentary use of Leisure Centre with 20m pool and children’s splash pool, crazy golf, table tennis, and 400 acres of Estate to roam! Your family will be treated like VIPs with rates from €420 total for family of 4 for a 2 night break and from €479 for 3 night break, with €50 supplement applicable Easter bank Holiday Saturday only. For bookings www.hotelwestport.ie T: 098 25122 E: reservations@hotelwestport.ie. For fans of the outdoor life, hop in the campervan, hitch the caravan or pack up the tents and head for the 3* Westport House Caravan and Camping Park. With a wonderful laid-back vibe, a genuine community spirit, great bathroom and showering facilities, sleeping under the stars with the kids has never been easier. The Westport House Caravan and Camping Park sits in the farmyard of the historic estate grounds – the ideal spot to rest your head after a busy day touring the West Coast or running riot around the Pirate Adventure Park. After all that fresh-air and adventure, guests are invited to the on-site Gracy’s Pizzeria and Bistro to enjoy the all-new menu including mouth-watering wood-fired pizzas and a tasty, wholesome kids menu. Settle back for a cold pint or a crisp wine, while the kids run off the last of their energy in Gracy’s Playground, pedal go karts or enjoy the Indoor Soft Play right next door. Try The Islands Restaurant in Hotel Westport if you’re looking for fine dining or go all out with Victorian Afternoon Tea served by your very own Victorian Maid in the formal Drawing Room of Westport House (pre-booking essential). Treat yourself to an indulgent and relaxing time in Senses Spa at Hotel Westport, offering a stunning array of therapeutic and rejuvenating face and body treatments. On Easter Sunday, 21st April, all guests are invited to join Pinkie Rabbit for the annual Easter Egg Hunt and on Sunday, April 28th, Westport House will host its annual FREE SEASON OPEN DAY in aid of charities – As I Am and Regina’s Fight for Life with live entertainment at Gracy’s Pizzeria on both days to enjoy. Create precious memories for all the family on the 400-acre historic lands of Westport House. Situated in the heart of Westport town, this 300-year-old heritage destination, the lands of legendary Pirate Queen Grace O’Malley, has a myriad of exciting family adventures in store. Soak up the inspiring heritage of Westport House with a brand-new Audio Tour app now available for all visitors telling the story of the family behind the house. Check out the dastardly dungeons, meet the characters who have lived in the House throughout the ages and step back in time with a sumptuous Victorian Afternoon Tea; ramble for miles through the gardens, parks and lakes of the Estate. Bring a bike and enjoy a family cycle along the Estate Greenway connecting the Great Western Greenway and Westport Quay. 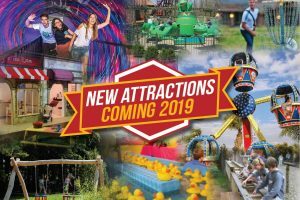 Splash out at the Pirate Adventure Park with the Cannonball Run Slide, the Pirate Queen Swinging Ship and the thrills and spills of the Pirates Plunge log flume ride. Gear up on the Go Karts or wind down on the Swan Pedalo boats. Climb aboard the Westport House Express, a miniature train ride around the lake along with indoor soft play, inflatable castles and obstacle courses. 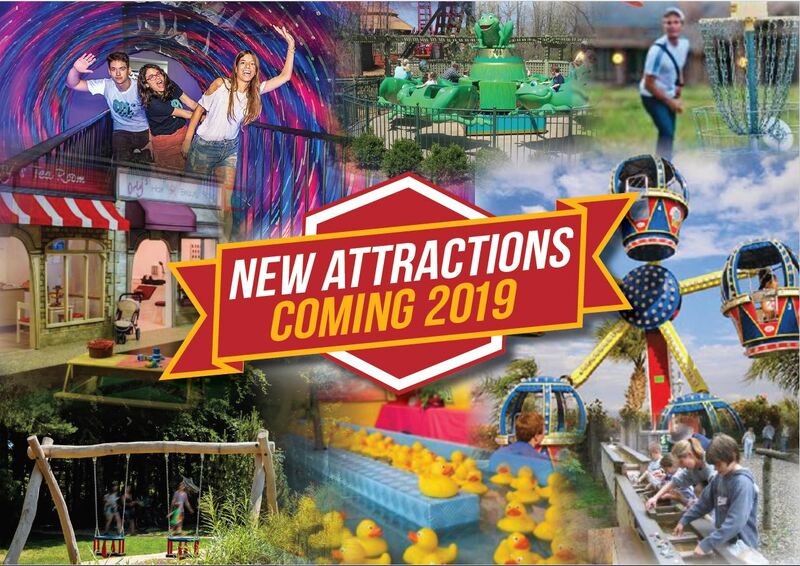 There are hours of fun guaranteed in 2019 as you also get to try out any of the eight new and additional family attractions on site – all included in the one Pirate Adventure Park ticket. Westport House and Hotel Westport is a unique destination on the stunning West Coast of Ireland, a magical place to reconnect with family, spend time together and make the most of those precious and rare moments of stress-free family life. Let the day to day grind give way to time spent with loved ones, treasure our Irish heritage, the outdoor life and the simplest of pleasures. Take a stroll around the historic streets and lanes of beautiful Westport town, full of charming cafes, artisan stores, tiny bookshops, inspiring galleries and music-filled pubs. Venture further along the majestic Clew Bay, tackle the summit of Croagh Patrick; cycle the greenway and meander miles of sandy beaches; feast on local, seasonal produce, in this ancient county, the gem of Connacht. Easter family break rates from €420 total for two adults and 2 kids under 12 years for a 2 night break and from €479 for 3 night break, with €50 supplement applicable Easter bank Holiday Saturday only. Under 2’s stay free and €25 per night for 4-12 yr olds. For bookings and special family offers see www.hotelwestport.ie or contact by telephone on 098 25122 or email reservations@hotelwestport.ie. The Pirate Adventure Park is open daily from April 12th to April 28th inclusive, weekends in May as well as Wednesday to Sunday in June and daily throughout July and August 2019 from 11am to 6pm. Westport House is open daily from 10am. Entry to Westport House is €25 per adult & €20 per child, a family of four is €70. Under 2’s go free. Entry for the following day is free to hotel and camping guests only for 2019 – so it is definitely THE place to stay when in Westport. A one-day Pirate Adventure Park Pass for a family of 2 adults and up to 4 children is €90. Please note some activities will incur additional fees. Advance booking is recommended at www.westporthouse.ie. All online ticket bookings will receive a 5% discount. For enquires about Westport House, the attractions, spa treatments and activities and special offers, see www.westporthouse.ie or telephone 098 27766 or simply email info@westporthouse.ie with your questions.